Be it cricket matches or parties, the last two weeks have been a riot of activity – for Bollywood celeb watchers. 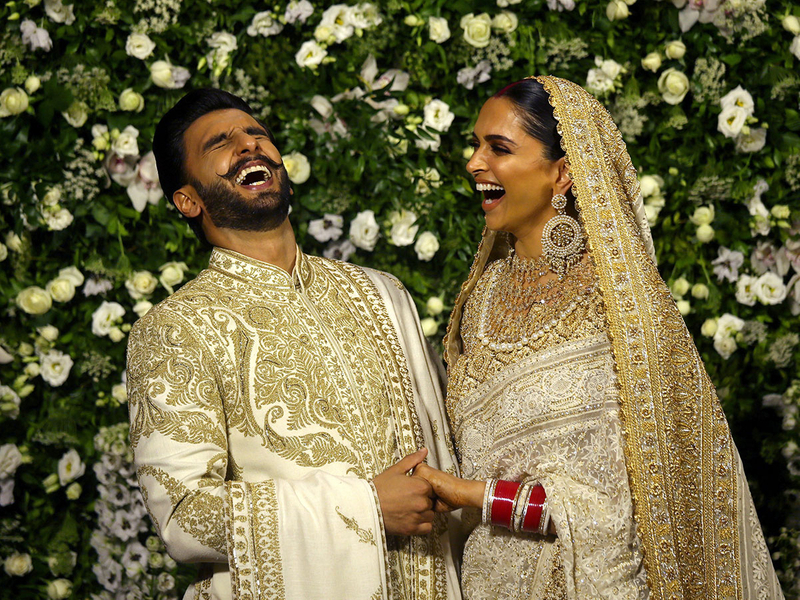 When Deepika Padukone and Ranveer Singh tied the knot on November 14, they went from fairy-tale Italian wedding to glamourous party after party. 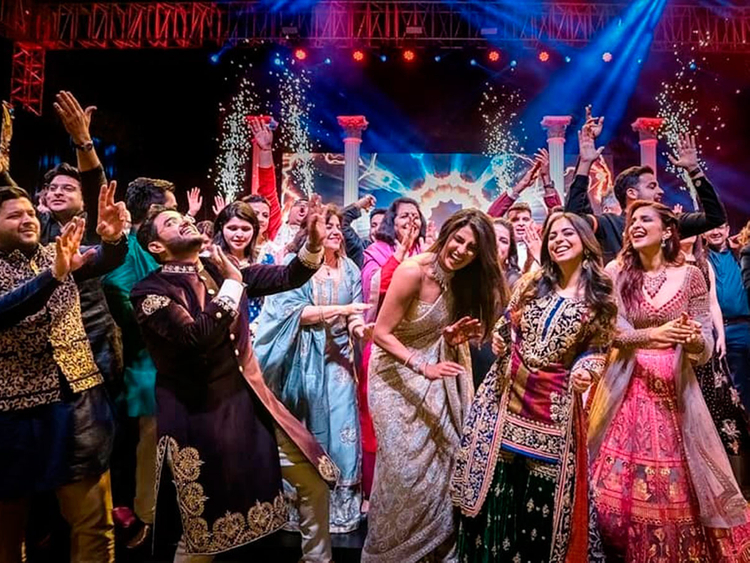 This past weekend, Priyanka Chopra and Nick Jonas tied the knot in Jodhpur, complete with fireworks and Hindi music that had choreographed dances. On the one hand, this could be because of its watch Barbie-and-Ken get married kind of lure. On the other, it could be the start of an obsession with all things glitz and glamour. At the end of the day – this unblinking, unwavering fascination that the world has with celebrities, is it even a choice? Or are we compelled like magpies to stare at the glittering stars? We tore our eyes away from social media long enough to ask the experts. For others, celebrities play the role of ice breakers – a person may refer to the way they speak, look, where they go in conversation – or stress busters. “It’s interesting to know what is their life; especially following people like Kareena Kapoor [who you see pictured] with her son and the dresses they wear; Sushmita Sen and how she is managing her two daughters, and all these things. Just like that how is Madhuri [Dixit], how is she dealing with her husband now that they are settled in India with her sons,” says Pooja Misra. She uses these ‘light’ stories to de-stress at the end of a long working day. But there people who tend to get obsessed – and this may have something to do with their genes. Animal DNA is hardwired to look up to the alphas, and in the case of humans this often means successful people in the spotlight. Add to that the inbuilt need for recognition, the fact that we learn through observation and media conditioning creates an almost-tangible dream, and Celebrity Worship Syndrome does not seem so far-fetched. The term was coined in the early 2000s by Dr Lynn McCutcheon and her peers, and refers to those obsessed with figures in the public eye. Dr John Maltby, in the Journal of Nervous and Mental Disease titled A Clinical Interpretation of Attitudes and Behaviors Associated with Celebrity Worship, explained the degrees to which the disorder can affect one. Using a Celebrity Attitude Scale, one can measure a person’s attitude. Entertainment-social: Which basically means the person figures in your social interactions. Intense personal: Where you often think of the star/celeb. In the most dangerous stage, “the person can pose a threat to their object of affection, because they will try to see the person by any way [including stalking]. Once the celebrity will push them back, they will become depressed, and they will seek for revenge. Because they will feel the celebrity lied to them or manipulated them. They will feel rejected,” she says. In the case of singer-actress-YouTuber Christina Grimmie, for instance, a fan-engagement turned fatal in 2016 when 27-year-old Kevin James Loibl, who had what police believed was an ‘unhealthy infatuation’ with the singer, shot her at point blank range before turning the gun on himself. Aamnah Husain, Psychologist at German Neuroscience Centre, explains that an obsession begins when a fan ascribes to a person, the actor, the characteristics of a particular character they play. The constant news and social media presence of actors allows us to be voyeurs into others' lives while giving us a false sense of knowing or intimacy with them. This ‘sense of knowing’ can have terrible repercussions. In 1977, for instance, when famed Egyptian singer Abdel Halim Hafez died, there was a wave of suicides by his dedicated fans. For many actors, it’s the flip side of fame. You want to be loved and adored by people on screen and sharing every move, outfit and thought on social media is one way to draw people in; what it also results in is people connecting with the celebs emotionally. And this brings with it the burden of others’ thoughts, feelings and opinions about their life. For newly-married Priyanka Chopra and Nick Jonas, for instance, it took a little while for fans to go from crying cougar (she is ten years older than him) to cooing awwww. [Now, of course, there is just excitement. “Some people want to emulate the success of celebrity actors, others like to criticise them and feel a momentary moral superiority,” says Husain. And that can lead to a feeling of emotional connect. Twenty-one-year-old Namirah Ahmad recently felt the disappointment that comes with extreme fandom. She used to follow Justin Bieber and Salena Gomez, who had an on-and-off relationship for years. Then came the sudden news that he was getting married to Hailey Baldwin. “Even though I fan-girled over him, I was so happy with his relationship with Selena. It wasn’t jealousy or anything, but I was genuinely so happy – and when I found out he married Hailey …because I don’t follow Hailey; I don’t have a connection with Hailey, so I wasn’t happy with this at all. And in fact, I stopped following Justin Bieber,” she says. Turns out having a soft spot for someone in the spotlight is normal – but take a break between the glitzy dances; moderation is probably best.